Six years ago, Ronald Braunstein landed in Vermont as the new conductor of the Vermont Youth Orchestra. Previously he had appeared with orchestras around the world, including at the Juilliard School, where he had trained. Yet Braunstein simultaneously struggled with bipolar disorder, buffeted by the manic cycle that defines the illness. "I would spend two years up, three years in bed," he recalls. "My relationship with an orchestra depended on where I was in the cycle." The condition finally caught up with him in Vermont. After only a few months, the VYO fired him for undisclosed reasons. That experience solidified Braunstein's feeling that discrimination against persons with mental illness in the orchestra world was a problem that needed intervention, he recalls. 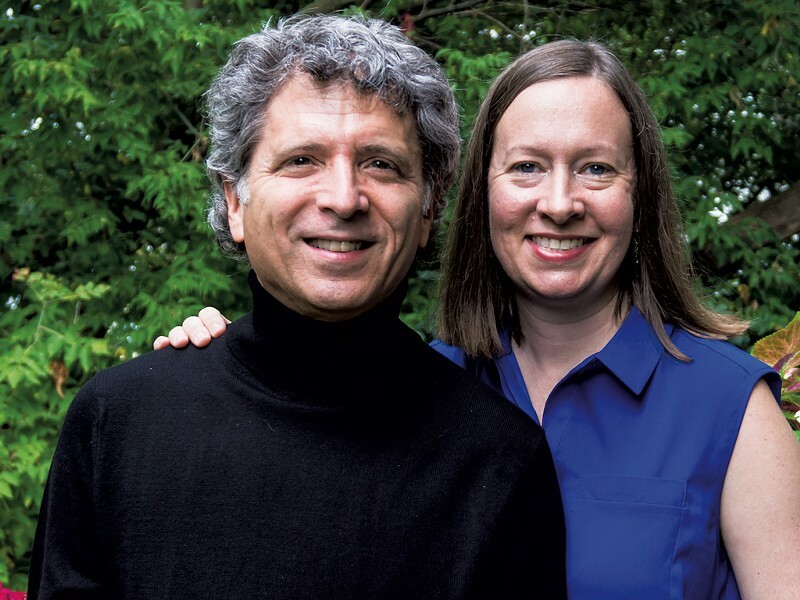 So in 2011, with his soon-to-be wife, Caroline Whiddon, he founded a new Burlington orchestra dedicated to erasing the stigma placed on mental illness — by musicians and the public. 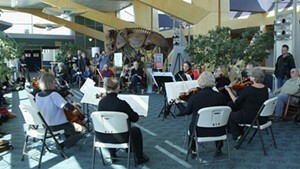 Today, Me2/Orchestra, as the couple named it, is a thriving 50-member group that performs several times a year. It has a 3-year-old sister orchestra called Me2/Orchestra-Boston; affiliates forming in Portland, Oregon* and Indianapolis; and plans to export the model around the U.S. and abroad. Braunstein describes what makes Me2/ special in part by comparing it with professional orchestras — in which, he says, musicians compete for chair positions and tend to mistrust the conductor, who makes those decisions. "In major orchestras, they don't like you," Braunstein says flatly. In Me2/, by contrast, "I'm conducting people who really like me, and I like them. It's very warm." Braunstein has eliminated competition by requiring only that members be able to read music and play a classical instrument. No audition is necessary, and chair positions change with each concert. Not all the players have mental disorders; about half are musicians who simply support the mission. Nor is there pressure to disclose one's condition. "It's not a support group, like Alcoholics Anonymous," Braunstein says. Jessica Stuart, 32, one of Me2/Burlington's dozen violinists, confirms that "there are no judgments" in the orchestra. "That stigma-free environment means that if I were to say, 'I'm really struggling,' I would feel support." Stuart also has bipolar disorder, a condition that caused her to drop music for years during and following college. She learned of Me2/ from her physician shortly after moving to Vermont in 2014. Though she receives regular treatment, she still succumbs to "self-medicating" bouts of drug and alcohol use, she says, followed by stints in rehab. For her, it's been a relief knowing "I had the orchestra to go back to." As executive director, Whiddon takes charge of efforts to make that experience available wherever willing organizers exist. The nonprofit has set up a legal framework for affiliates that ensures Me2/'s mission and vision will be maintained. Whiddon, a French horn player who trained at the Eastman School of Music, gave up a career as a professional musician when her generalized anxiety disorder led to panic attacks at performances. She worked in music administration for the next 18 years and was executive director of the VYO when Braunstein arrived. During Me2/Orchestra's second year, she picked up the horn again and still plays with the group. Me2/ strives to eliminate stigma around mental illness in part by playing in alternative venues, such as mental hospitals, community centers and airports. Increasingly, the founders and musicians receive invitations to give talks, as they did last week at the University of Vermont psychiatry department's grand rounds. Braunstein lived for years in New York and major cities in Europe. Since moving to Vermont, he's finally found steady treatment for his illness with a local psychiatrist, he says. That, along with meeting his wife and simply living in Vermont, has enabled him to find his purpose, says the conductor who once won a four-year apprenticeship with the prestigious Berlin Philharmonic. "The most important thing in my career," Braunstein says, "was starting Me2/Orchestra, bar none." *Correction, October 19, 2016: An earlier version of this story misidentified the future location of one of Me2/Orchestra's affiliates. It will be based in Portland, Oregon. The original print version of this article was headlined "ME2/Orchestra Conducts Its Mission Beyond Vermont"